We value our customers and will not share your email address with any third party. The Home of Health and Family! Supplying Organic, Natural, Eco-Friendly & Children's Products. AUSTRALIAN ORDERS ONLY - No international shipping, thank you. 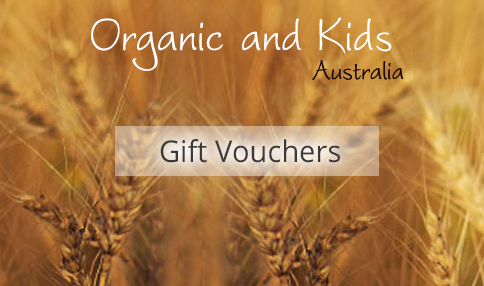 to spend with us at Organic and Kids Australia (via online, email, phone or from market stall)!! Drawn after the 1st of each month for the previous months purchases. The winner will be notified & issued with their voucher as soon as possible after the draw. Up to $20 spent provides you with 1 entry. For every full $10 spent you'll recieve additional entries. Example: spend between $30-$40 gives you 3 entries, spend between $90-$100 and be given 9 entries. Feeding babies egg and peanut may reduce their risk of developing an allergy to the foods, finds a new study.In the research, which is the largest analysis of evidence on the effect of feeding allergenic foods to babies, scientists from Imperial College London analysed data from 146 studies. In total the studies involved more than 200,000 children.The results suggest feeding children egg between the ages of four and six months may reduce their risk of developing egg allergy.The study, which was commissioned by the UK Food Standards Agency, also found feeding children peanut, between the ages o..
We can already hear the organic food naysayers: Highest quality? Healthy products? Hogwash — the organic industry just wants you buying more of its goods.But the truth is choosing organic-certified foods — when you can and can afford to — is one of the best choices you can make for your children. We should know: as a mom of two girls and an author of books about sustainable food (Anna) and as a pediatrician and father of four (Alan), we have a handle on the research as well as firsthand experience.We choose organic because we know, for example, that children fed an organic diet have .. Enter your email address to be the first to know about special offers, new arrivals, and more!